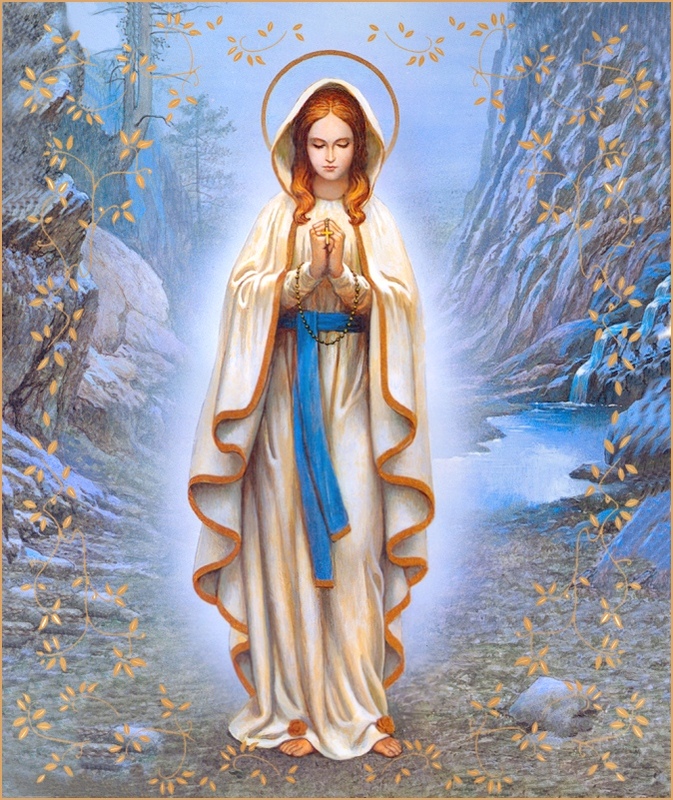 A blessed Solemnity of the Immaculate Conception to you all! Since, her feast was covered yesterday by the second Sunday of Advent, we celebrate it today. It is not, a Holy Day of Obligation, but what a great day to still go to Mass and celebrate the immaculate conception of the mother of our lord in the womb of St. Ann! We as Catholics, hold Mary in high esteem, not worshiping her, but giving her what in latin is known as hyperdulia, that is the amount of reverence we give her. She receives more than dulia, which is what the saints receive, and less than latria which is reserved for God alone. Today’s readings from St. Anselm, a philosopher from the eleventh century, commonly known for his Ontological Argument, explains in a beautiful way why we honor Mary, who is the Mater Dei, latin for Mother of God. “To Mary God gave his only-begotten Son, whom he loved as himself. Through Mary God made himself a Son, not different but the same, by nature Son of God and Son of Mary. The whole universe was created by God, and God was born of Mary. God created all things, and Mary gave birth to God. The God who made all things gave himself form through Mary, and thus he made his own creation. He who could create all things from nothing would not remake his ruined creation without Mary. “God, then, is the Father of the created world and Mary the mother of the re-created world. God is the Father by whom all things were given life, and Mary the mother through whom all things were given new life. For God begot the Son, through whom all things were made, and Mary gave birth to him as the Saviour of the world. Without God’s Son, nothing could exist; without Mary’s Son, nothing could be redeemed. When discussing the Immaculate Conception, an implicit reference may be found in the angel’s greeting to Mary. The angel Gabriel said, “Hail, full of grace, the Lord is with you” (Luke 1:28). The phrase “full of grace” is a translation of the Greek word kecharitomene. It therefore expresses a characteristic quality of Mary. Catholic’s hold that Mary’s grace from God, overshadowed her from her conception onward. Her body, because of it’s grace, was never touched by the decay of death, since death is the punishment for sin, and Mary never sinned. This goes more into one of her other feast days: The Assumption of Mary, body and soul into Heaven. Since the Immaculate Conception and Assumption are not explicit in Scripture, Fundamentalists conclude that the doctrines are false. Here, of course, we get into an entirely separate matter, the question of sola scriptura, or the Protestant “Bible only” theory. There is no room in this tract to consider that idea. Let it just be said that if the position of the Catholic Church is true, then the notion of sola scriptura is false. There is then no problem with the Church officially defining a doctrine which is not explicitly in Scripture, so long as it is not in contradiction to Scripture. The Catholic Church was commissioned by Christ to teach all nations and to teach them infallibly—guided, as he promised, by the Holy Spirit until the end of the world (John 14:26, 16:13). The mere fact that the Church teaches that something is definitely true is a guarantee that it is true (cf. Matt. 28:18-20, Luke 10:16, 1 Tim. 3:15). Today, on this feast of our Blessed Mother, we give thanks for her role in bringing our savior into the world, for the lives of our own mother, and ask that she who was immaculately conceived, will watch over, guide, and protect us all the days of our lives, until death calls us home. ← Finals… Repent and make straight the way of the lord!